Mertilla Jones, grandmother of Aiyana Stanley-Jones, shot to death in polce raid at the age of 7, speaks to media before court hearing on cop who killed her Oct. 29, 2012. 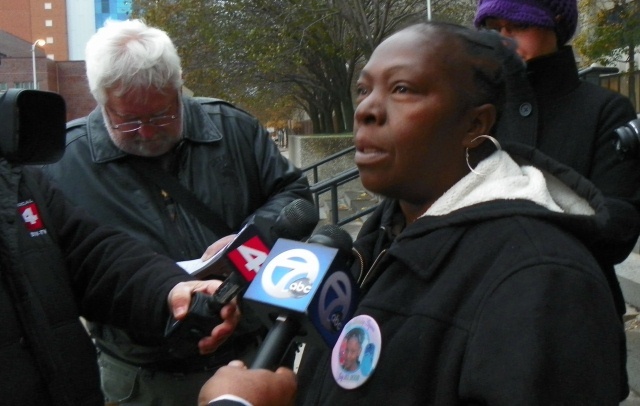 DETROIT – “We are coming out here as long as it takes,” Aiyana Jones’ grandmother Mertilla Jones said before Detroit police officer Joseph Weekley appeared in court Oct. 29 for a second hearing on a motion to dismiss charges against him. 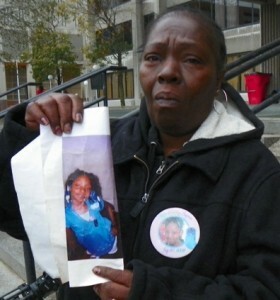 Mertilla Jones shows Aiyana’s photo during Oct. 29, 2012 press conference. Weekley shot the child as she slept with her grandmother May 16, 2010, during a horrific military-style midnight raid on her home, as cameras from A&E’s “First 48” show rolled. Jones spoke during a press conference called by the newly-formed Coalition for Justice for Aiyana Jones. 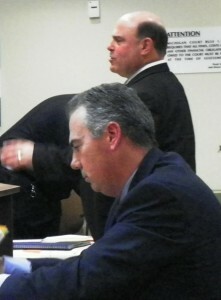 Joseph Weekley (r) at arraignment in 2011. Also shown (l front) Wayne Co. Prosecutor Kym Worthy, (rear r to l) co-defendant Allison Howard and her attorney. 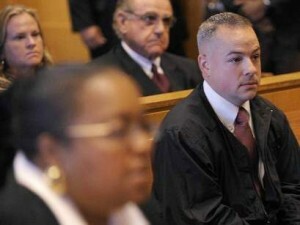 Hedr trial has since been severed, and is set for Dec. 3, 2011. Although he was charged with involuntary manslaughter and reckless use of a firearm a year ago, Weekley has yet to face trial. It has become apparent during a series of pre-trial hearings that the court, prosecution and defense want the child’s father Charles Jones tried on first-degree murder charges in a separate case first. Weekley has been free on personal bond while Aiyana’s father and her aunt’s fiancé Chauncey Owens are in jail awaiting trial. They are accused in the killing of 17-year-old Je’Rean Blake two days before Aiyana’s death. Detroit police used that incident as a pretext to stage a midnight raid with grenades, tanks, and assault weapons on the Jones’ home, while cameras for A & E’s “The First 48” rolled. Charles Jones (front) is comforted by his aunt JoAnn Robinson, now deceased, the morning of Aiyana’s killing May 16, 2010. 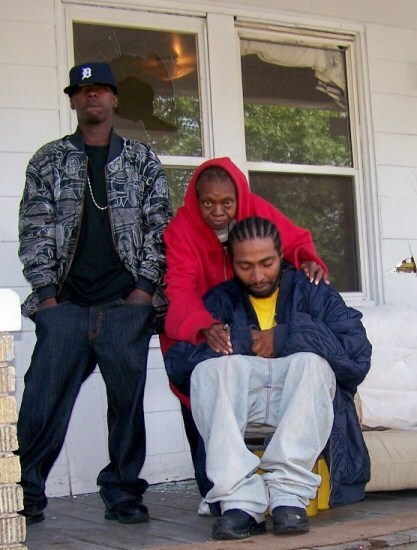 His cousin Mark Robinson, who warned police children were in the home, is at left. Police had a warrant for Owens, but did not obtain an arrest warrant for Jones until one and a half years later. Owens did not live with the Jones family, but in an upstairs flat with a separate entrance. He surrendered voluntarily and could have been arrested earlier when he left the house while police were surveilling it, according to nationally-renowned attorney Geoffrey Fieger. Weekley’s defense attorney Steve Fishman and Wayne County Circuit Court Judge Cynthia Gray Hathaway expressed surprise at the extensive presence of TV cameras and reporters in the courtroom, claiming the hearing was minor. 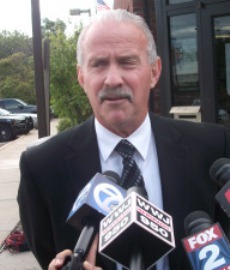 Weekley’s attorney Steve Fishman has defended numerous police officers. At the first hearing Sept. 28 on the Weekley motion to dismiss, Judge Hathaway said she could not rule on it without reviewing extensive files. She asked Assistant Prosecutor Robert Moran and Fishman to produce those documents, including those from a one-man grand jury hearing conducted by Wayne County Circuit Court Judge Timothy Kenny. 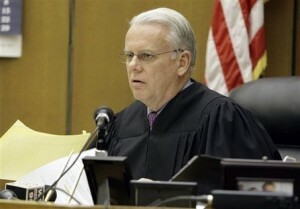 Judge Hathaway has had the case since November, 2011. On Oct. 29, the two attorneys said they had compiled records they agreed would be needed, consisting solely of transcripts of testimony by police officers, detectives and two family members. Everything related to the grand jury hearing has been sealed from public view, and both attorneys agreed it should continue to remain so. Asst. Prosecutor Robert Moran (front) during preliminary exam for Charles Jones, who he is also prosecuting in what many say is a conflict of interest. Jones’ defense attorney Leon Weiss speaks at podium Jan. 26, 2012. “We didn’t provide photos, evidence technician reports and sketches, firearms reports and the autopsy report because we felt they were not important to the theory of gross negligence,” Moran told the judge. During the raid, numerous members of the Jones family were present in the small flat, including Aiyana’s father, aunt, and younger siblings and cousins, and Owens’ 15-year-old daughter. Her adult cousin Mark Robinson was first detained by police outside the home. He said he warned them that children were present in the house before they fire-bombed it and entered shooting. 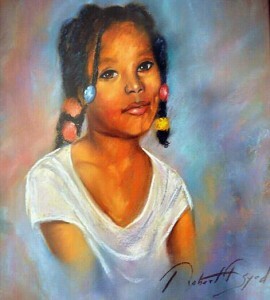 Painting of Aiyana Jones on her mother Dominika Jones’ Facebook page. According to court records, police also brought Owens into the lower flat, seating him on the couch where Aiyana died, with her blood and body fragments still there. The Wayne County Medical Examiner’s office said in its first autopsy report that Aiyana had been shot through the throat, but later concurred with a second autopsy report by forensic pathologist Daniel Spitz which showed she was shot through the top of her head, with the bullet exiting her throat. Judge Timothy Kenny, the “one-man grand jury” on the investigation of the police killing of Aiyana Jones. He refused to release any documents from court file to VOD. Hathaway appeared not to be interested in the exhibits, stating, “I would assume the exhibits were included in the probable cause motion to indict.” Judge Kenny granted that motion to indict Weekley on the limited charges, and reviewed those exhibits secretly. Ron Scott, also working with the Coalition for Justice for Aiyana Jones, questioned why Judge Hathaway would not want to review the same exhibits if she is considering dismissing the case. Moran said the hearings on Jones and Owens have been postponed until the beginning of 2013. He said the state Supreme Court should decide by then on an application for leave to appeal filed by Jones’ attorney. An appeals court earlier overturned a ruling by Wayne County Circuit Court Judge Richard Skutt that the testimony of “jail-house snitch” Jay Schlenkerman could not be used against Jones. The “companion case” to Weekley’s is actually that of Allison Howard, an Arts & Entertainment (A & E) producer who has been charged with perjury and obstruction of justice for her alleged actions related to A&E’s taping of the raid. Her trial has since been severed from Weekley’s. 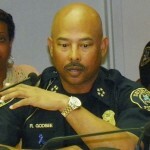 Former Detroit police chief Ralph Godbee tried to blame Mertilla Jones for the killing of Aiyana, then later retracted statement. Jones said that when she was deposed during the grand jury proceedings on possible charges in her granddaughter’s death, the court was most interested in details pertaining to the earlier killing of Je’rean Blake. Hathaway set Nov. 30 as the date for the next hearing on Weekley’s case. She set the same date for a demonstration of the effects of the “flash-bang” grenade which was thrown through the window above the sleeping child and her grandmother just before Weekley entered and shot the child to death. The contention has been that the detonation “dis-oriented” Weekley, although Moran said that officers in the SRT are specially trained to function while it goes off. That demonstration was earlier scheduled for July, but Hathaway said Sept. 28 that she was the only person who showed up for it. Ron Scott at courthouse Oct. 29, 2012. Mertilla Jones said her family celebrates Aiyana’s birthday every year. 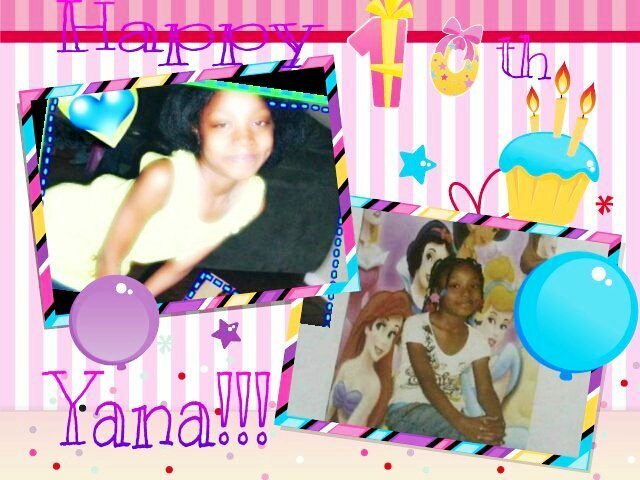 She would have been 10 years old July 20, 2012.